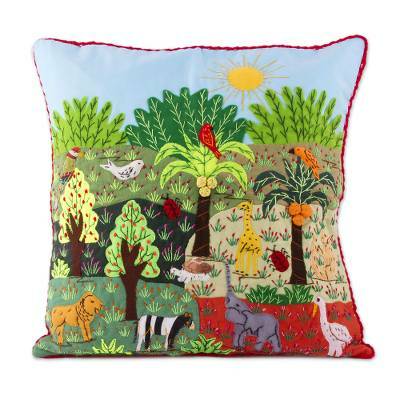 A vibrant jungle scene is depicted on the front of this cushion cover, featuring a variety of African animals standing beneath a verdant canopy. 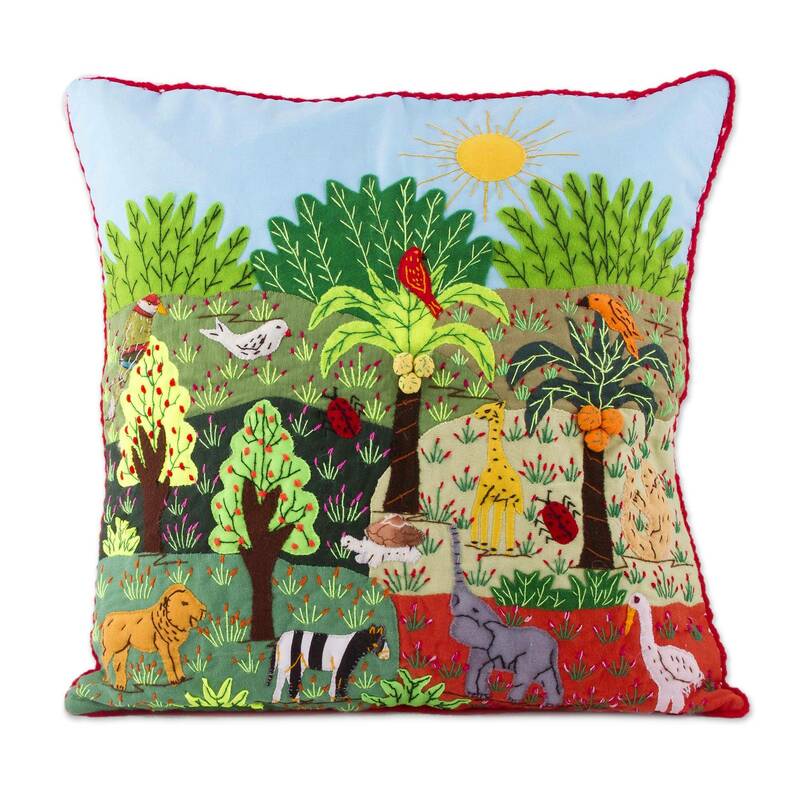 The hardworking women at Peru's Santa Magdalena Association handcraft the front of the cushion cover with arpilleria patchwork of cotton blend fabric. The back of the cushion cover features a solid white color, with a slit in the back for the insertion of a cushion. 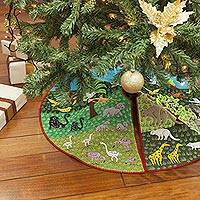 Artfully crafted by Santa Magdalena Association from Andes. 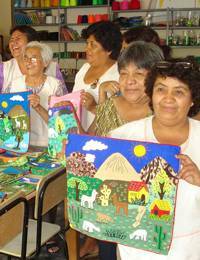 "We're a group of homemakers from the town of Tembladera in Cajamarca's Yonan district. Before we became involved with this project, we were fulltime homemakers but we started getting together to share our textile skills. We knit, crochet, embroidery and craft all kinds of utilitarian objects, and we decided to form a group and work together. "In May of 2003, we began crocheting together. As time went by, we learned macramé because it was very popular. This brought us closer to the handicraft market, its trends and fashions, and we eventually substituted knitting for crochet. 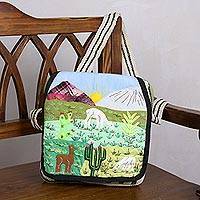 In 2005, we began to learn the Andean patchwork technique known as arpillería, with experts to guide us. As part of the course, we received a book about embroidering scenes on fabric, but the teacher didn't have time to show us the difficult step of putting the pieces together. One brave woman went ahead and did so, and our work satisfied shoppers. 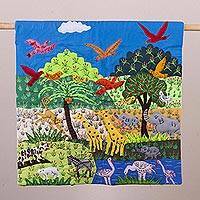 "The full name of our group is the Asociación Artesanal Parroquial Santa Magdalena. In February of 2006, we officially became an association. "Using cloth of distinctive shades and textures along with colorful wool and floss, we are able to tell about the history, legends and stories linked to our cultural roots. This art is much appreciated in other countries, and we were glad to be able to develop this skill and bring in some additional income. 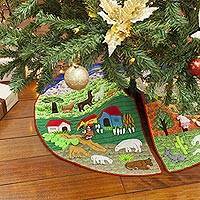 We like to depict events like Christmas, or remember Peru's glorious cultures, to portray our landscapes and even tell Andean stories. Our work carries an educational message. "So far, our greatest challenge has been the growing competition. There are market prices so low that they exclude small workshops that haven't been able to position themselves. We are also far away from markets, both to sell our designs and to buy materials. 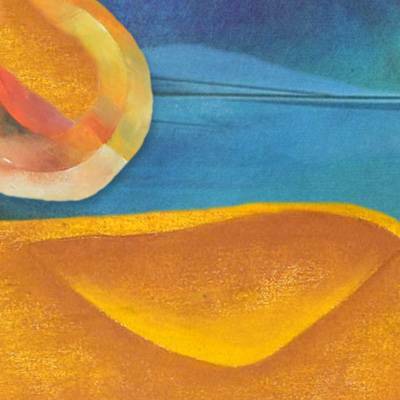 "For all of us, our art is an open window to show our abilities in the Peruvian and international markets. Our textiles have been exhibited in the U.S. Embassy in Lima, the Museo de la Nación, the Book Fair and even in Taglich Messe, Stuttgart (Germany)."